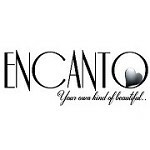 Encanto Jewellery: Encanto Jewellery Joined Storeboard! Based in the West Midlands Encanto Jewellery is a jewellery shop offering high quality sterling silver locket pendants and charms embellished with Swarovski crystal. They have a wide range of sterling silver charms allowing their customers to create their own Keepsake or gift with the unique added option of including hand made cremation ash and/or fingerprint charms.